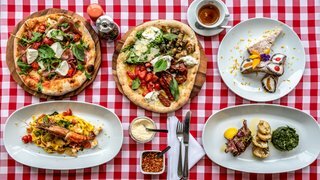 A great addition to this area , priced just right - a proper Italian place filled with Italian staff all lovingly looking after us with some truly exquisite dishes . You have it all in here - atmosphere, great banter with the staff , superb food and wine and second to none hospitality . Apparently they have a newer menu coming out , with some classic favourites / nice to see they listen to what the customer wants.